Culture, entertainment and world-class shopping live side by side on the Upper West Side, one of New York's most vibrant, desirable and family-friendly neighborhoods. Amid tree-lined streets and landmark buildings, an eclectic mix of restaurants and outdoor cafes invite you to linger, museums and galleries enliven your imagination, and Lincoln Center, the Beacon Theater and other nearby venues offer endless entertainment options. A cook's (or take-out fancier's) dream, the neighborhood is virtually unrivaled for gourmet groceries such as Zabar's, Fairway and Citarella. For some rest and relaxation, you can't beat the city's legendary urban oasis, Central Park, just steps away. * Near Central Park, Lincoln Center, The Museum of Natural History and the Rose Center for Earth and Space. * Easy access to all public transportation. 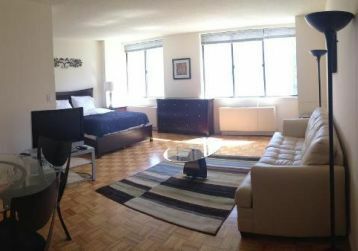 * Minutes to Broadway and Times Square, Fifth Avenue shops and museums, and Midtown.